Legends Driving Range opens Thursday April 11, 2019! Good news for Legends golfers – the driving range is ready for spring and will open April 11 under the guidance of Ron Lyons and his staff. The Legends Driving Range is located on the north west side of #7 Champions and features a massive 40,000 square foot grass tee area…. Why hit off mats when you can hit off grass? 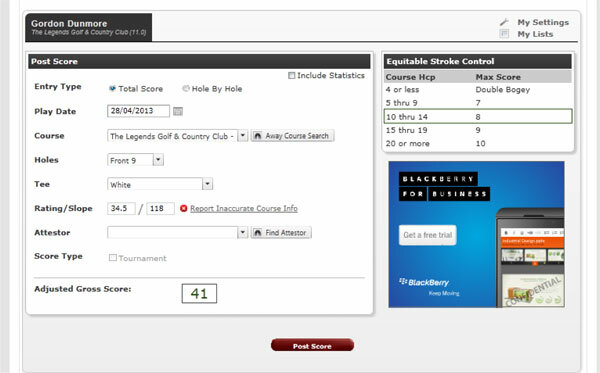 Check out the Legends driving range ! 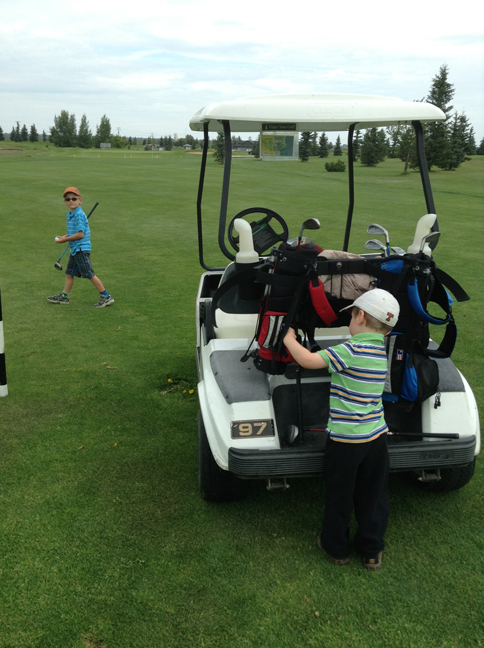 To teach the rules and etiquette each group MUST have an adult “caddy”….mom or dad or gramma and grampa or in some cases, all of the above. 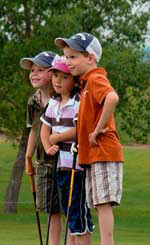 Come out to enjoy sharing the game of golf with the youngsters! To round out the day, free hotdogs, drinks and prizes are awarded to all the new golfers. 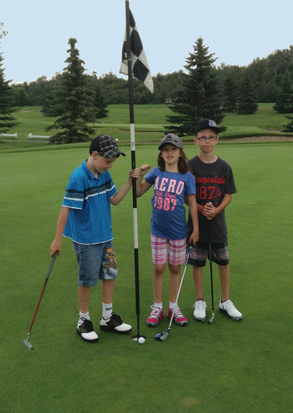 Keep the Sunday of the long weekend in August free and share the joy of golf with your kids! 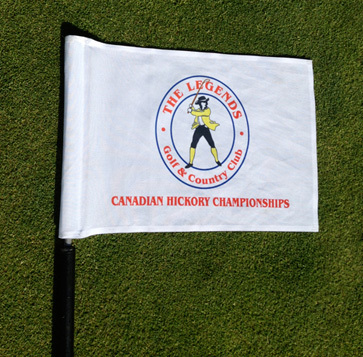 The 2014 Canadian Open Hickory Championship week held at the Legends August 11-15th was another unqualified success! 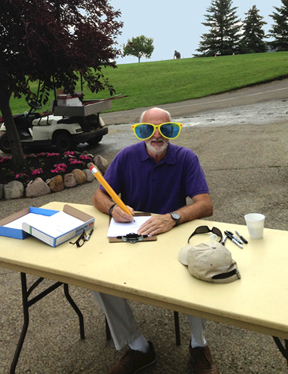 Participants utilized wood shaft golf clubs of a bygone era for the entire week. The week started with two practice rounds on Monday and Tuesday. An 18 hole 4-man scramble held Wednesday showed that the old clubs still had some shots in them with a winning score of 12 under par! A Bar-B-Que followed play Wednesday evening. Thursday brought the annual 27-hole Ryder cup format with Canada edging out a victory over their US counterparts. 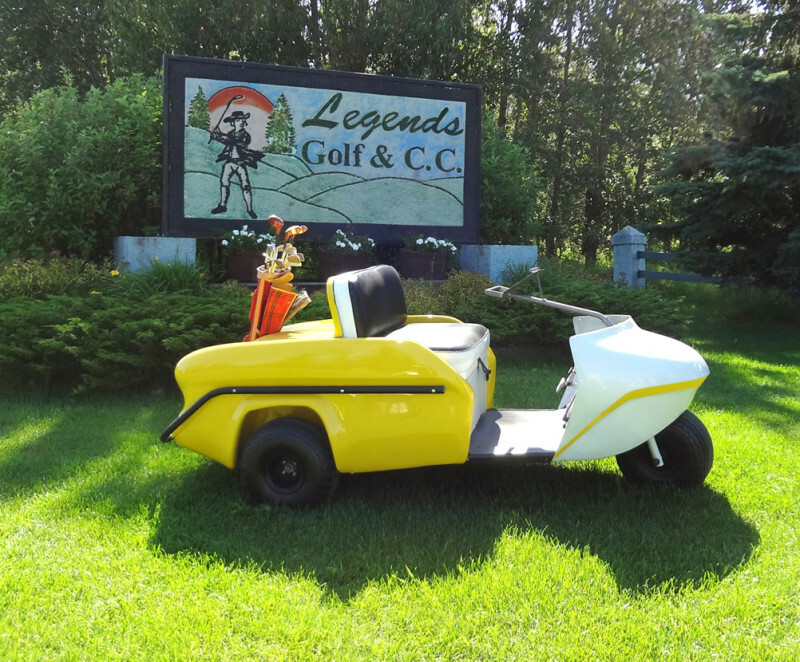 Players were treated Thursday evening to a BBQ and a tour of the Legends Golf Car Museum – 65 vintage golf cars from 1949-1969 … everything from a one-seater to a five-seater. Friday featured the 27-hole stroke play tournament in conjunction with the annual Legends day – this year honouring Ray Milne for his contribution to golf and service at the Highlands G.C. 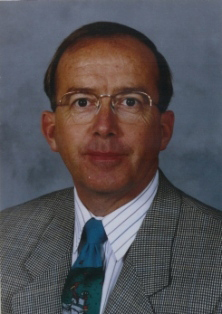 (more on Ray Milne to come in the Legends section of the blog). The Championship division was won by Ben Plaunt with a stellar two under par over 27 holes. Runners up included Terry Bader, Michael Ream, Ken Plaunt and Brendan Tomiak. The Senior division over 27 holes featured a 3-way tie for the gold medal with Legends local Chris Ream, John Bergerran of Houston and Paul Biocini of Modesto sharing the honours. All in all a fine week of hickory golf, camaraderie and fun! 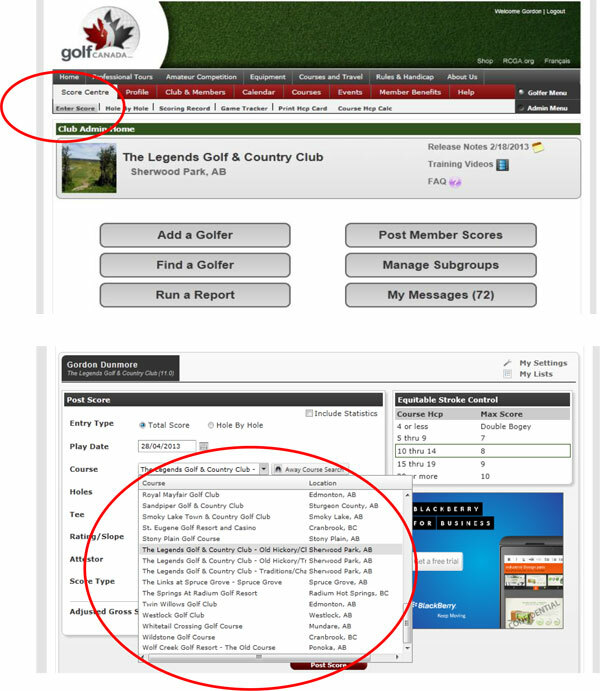 For details and entry form for the 2015 event, choose the “HICKORY” menu choice on the main page. 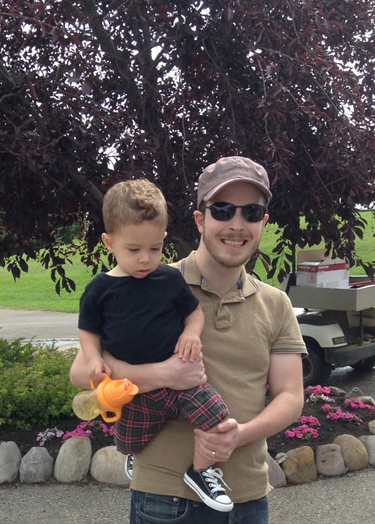 The 2014 Legends “Little Legends Day” caused much excitement with the “younger” crowd! The Legends closed the Traditions nine, shortened the holes and made it available to kids under 12 for free. To teach the rules and etiquette each group had an adult “caddy”….mom or dad or gramma and grampa or in some cases, all of the above, came out to enjoy sharing the game of golf with the youngsters. 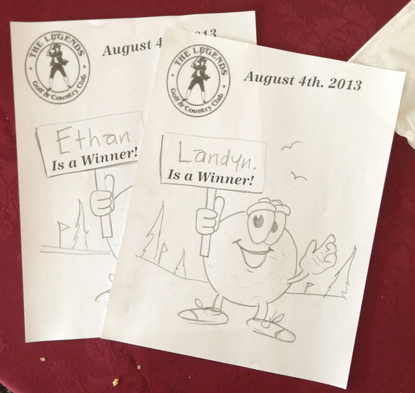 To round out the day, free hotdogs, drinks and prizes were awarded to all the new golfers. A special certificate drawn by resident artist Mike Sutton made the day a memorable one for all! 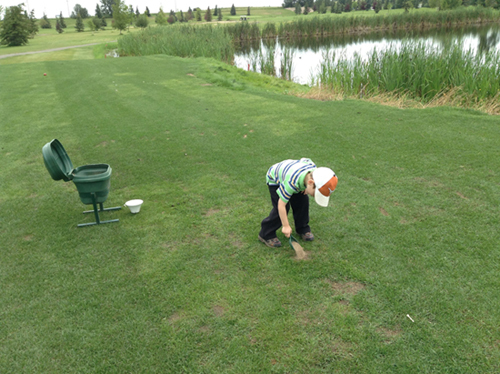 Keep the long weekend next August free and share the joy of golf with your kids!